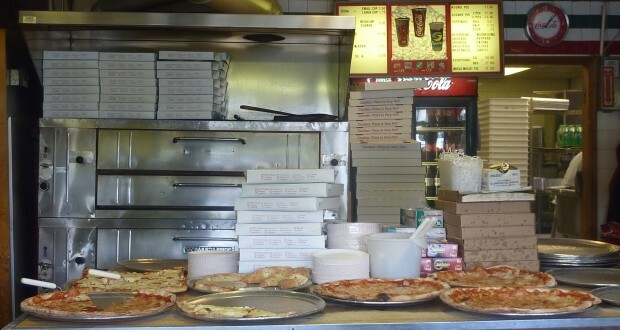 Summary : This neighborhood pizza place is an institution in Howard Beach. 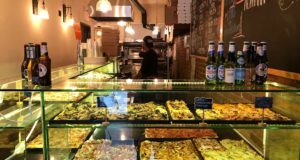 You'll need a car to get there, but once you're inside you'll be treated to top tier square and regular slices. Some pizza places are made to look like they’ve been around for decades. Others actually have been. 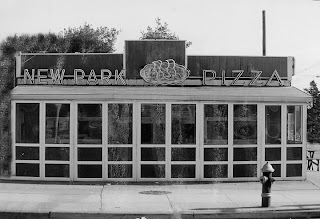 New Park Pizza (156-71 Cross Bay Boulevard) opened in Howard Beach, Queens in 1956. 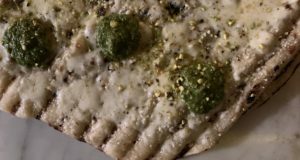 Although I can’t imagine the pizza has changed much over the years — a lot of other things have. For starters, regular and square slices are $2.50, a price point that certainly has inched up with the price of a subway fare over the years. The place even has a Facebook presence — a tool that many old pizza establishments have yet to unitize. The original signage appears to be intact, but as you can tell from the photos below, New Park Pizza has undergone other renovations (as subtle as they may appear — it’s probably a good thing!). The place is most easily accessible by car and is open daily from 10:00AM-midnight. In what I would consider to be New York’s weakest pizza borough… New Park Pizza stands out. The menu is simple. They have regular or square slices (I ordered one of each) and calzones. There are 10 toppings you can add to your pie order. None are exotic. This was my second trip to New Park Pizza and I was once again quite satisfied with my meal. While the sauce stands out on the regular slice, it’s the cheese that gives the square slice its flavor. The regular slice is crispy, while the square slice has a chewy, bread-like texture. They’re so different from one another that you need to try both. New Park Pizza has been crowded both times I’ve been there (you can tell right away by how many cars are in its parking lot), yet there is never a line. The menu is so simple, that whatever you want is always ready to go. After 55 years, you’d hope they’d have the system down. I wish there were more places that existed today like New Park Pizza. But it’s difficult for a business to be so successful for so many years. 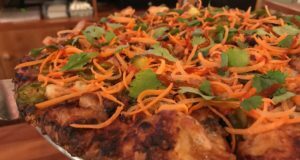 From generation to generation, through booms and recessions, New Park Pizza has been firing up its brick oven. There’s no reason to believe they won’t be celebrating 100 years of being in business a few decades down the road. Hopefully you’ll have the chance to check them out before then.